and all you can see is your own reflection or the reflection of furniture most of the day. 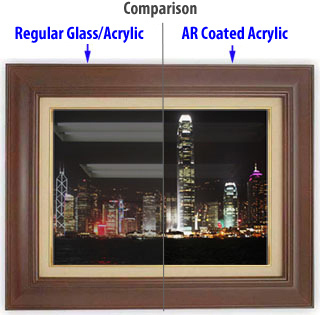 dramatically enhance the way an artwork looks ! 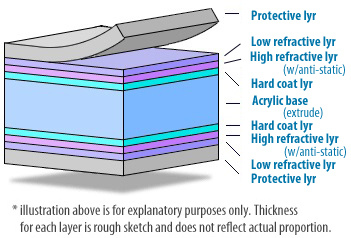 Anti-static layer work as dust repellent. serves also as safer alternative. Dig groove with acrylic cutter. fold and cut using desk edge. Method ： Rub No.0000 steel-wool 5 time both way with 0.5kg weight. Judging Criteria ： Approved if damage line is less than 20.